US$1.7 billion of Chinese backing set to deliver Karnaphuli Tunnel Project, a key Belt and Road component. Chittagong Port: Heavily congested and in desperate need of a deep-water upgrade. Construction work on the China-backed Karnaphuli Multi-Channel Tunnel Project in southern Bangladesh is now well under way. The tunnel is seen as a key component in several projects related to the Belt and Road Initiative (BRI), China's ambitious international infrastructure development and trade facilitation programme. Once completed, the tunnel will connect the port city of Chittagong to the far side of the Karnaphuli river, the site of a new Chinese economic zone. Due to be completed in 2020, the tunnel will slash the travel time between Chittagong and Cox's Bazar, one of the country's leading tourist destinations, and ease the heavy congestion on the existing two bridges across the river, while also connecting-up with the Korean Export Processing Zone and Shah Amanat International Airport. It will also feed into two other projects that are currently under way – the Asian Highway and the Dhaka-Chittagong-Cox's Bazar Highway. At present, it looks as if all of the required funding for the tunnel is now in place. According to government sources, US$1.02 billion of initial backing was secured from the China Exim Bank, with a further $663 million facility – repayable over 20 years at an interest rate of 2% – subsequently confirmed. The outstanding balance was then provided by the Bangladesh government. The project has been jointly managed by the Bangladesh Bridge Authority (BBA) and the China Communication Construction Company, with the Hong Kong branch of Ove Arup & Partners providing additional design and technical support. With a total length of 9km – of which 3.4km will run below the river – it will be the first tunnel in Bangladesh to facilitate simultaneous road and rail transit. The tunnel is just one of a range of China-backed projects currently underway in the region. Foremost among these is the Special Chinese Economic Zone – formally known as the Anwara 2 Economic Zone – which was officially established in June last year following the signing of a Memorandum of Understanding (MoU) between the Bangladesh Economic Zones Authority (BEZA) and the China Harbour Engineering Company (CHEC). According to Paban Chowdhury, BEZA's Executive Chairman, the zone will have the capacity to house 150-200 industrial units and will focus on a range of different industrial sectors, including shipbuilding, pharmaceuticals, electronics, agro-business, IT, chemicals, power and textiles. With up to 75,000 jobs set to be created, the zone will not exclusively rely on Chinese businesses, with Chowdhury saying: "As per our initial agreement, while Chinese investors will get preferential treatment, other local and overseas businesses will also be welcome." In the case of both the tunnel and the economic zone, their success is heavily reliant on the Chittagong port's facilities being substantially upgraded. 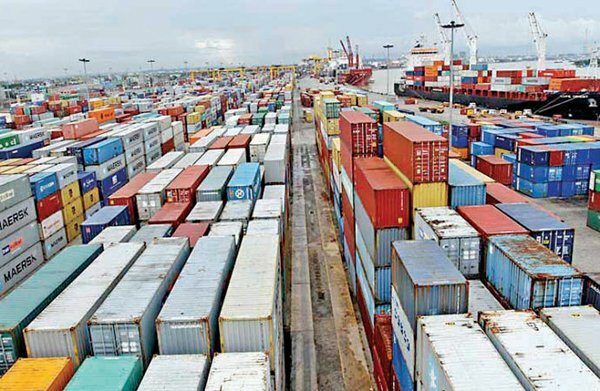 The port currently handles a staggering 92% of Bangladesh's ocean freight, with the country's surging economy seeing the required throughput growing by about 14% a year. The port, however, is heavily silted and extremely congested, while also lacking the depth required for the current generation of tankers. As a result, it is widely accepted that a deep-water port upgrade is a priority for the country. Over recent years, though, attempts to implement such an upgrade have fallen foul of a series of international disagreements. Back in 2010, China agreed to put up the money for the port's expansion, as well as for the development of a deep-water port on the nearby Sonadia island. Then, in February 2016, in something of an abrupt about-turn, the project was scrapped in favour of a Japanese-funded port development at nearby Matarbari, the proposed site of a massive coal-fired power station. Such wrangling, however, has not lessened Bangladesh's strategic significance to the overall BRI project. The country is a key component of the proposed Bangladesh-China-India-Myanmar corridor (BCIM), one of the programme's six priority routes. Overall, Bangladesh is also seen as a vital conduit between the semi-industrialised ASEAN countries and the highly populated Indian sub-continent. Its strategic location between South Asia and Southeast Asia also makes it an essential link in the BRI's mission of trans-regional integration.